Caciques de Humacao (BSN) inked 30-year old American forward Brandon Costner (206-107kg-87, college: North Carolina State). It is actually his comeback to Caciques as he has played here before. Costner played in the summer at Guizhou in Chinese NBL league. In 21 games he averaged impressive 28.8ppg, 12.6rpg, 2.0apg and 1.0spg. Costner helped them to make it to the final. He also played that season for Caciques where in 38 BSN games he was second best scorer with remarkable 19.9ppg and recorded 6.3rpg and 2.3apg. A very good season in his career as he was awarded Latinbasket.com All-Puerto Rican BSN Center of the Year, selected to 1st Team and selected to All-Imports Team. In 2010 (a year after he left the college) Costner was drafted by Utah Flash (D-League) in first round (8th overall). He attended North Carolina State until 2009 and it will be his eighth season in pro basketball. Costner won D-League West Division championship title in 2014. He is a very experienced player. Costner has quite traveled the world as his pro career brought him to four different continents (Europe, Asia, Latin America and of course North America). Costner has played previously professionally also in Belgium (Belfius Mons Hainaut), France and D-League (Los Angeles D-Fenders and Utah F.). The round was rather attractive and full of interesting results. The round ended with defeat of the leader and favorites losing the games. Here is the last round review presented by ESL. Top ranked Piratas (10-5) recorded its fifth loss in Quebradillas on Thursday night. Hosts were defeated by third ranked Brujos (10-6) 90-77. It may be a crucial game in the contest for the top position in the league. The guests trailed by 6 points after first quarter, but they stormed back to get the 12-point lead at the halftime and eventually won the game 90-77. Brujos outrebounded Piratas 45-31 including 30 on the defensive glass. They looked well-organized offensively handing out 21 assists. American-Guamanian forward Tai Wesley (201-86, college: Utah St.) fired 19 points, 8 rebounds and 4 assists for the winners. Forward Jose-Glen Rodriguez (201-92) chipped in 16 points and 7 rebounds (perfect behind the arc making all five shots). American forward Brian Conklin (201-89, college: St.Louis) produced a double-double by scoring 17 points, 11 rebounds and 4 assists for lost side. Piratas' coach rotated twelve players in this game, but that didn't help. Brujos have an impressive series of five victories in a row. They moved-up to second place, which they share with Aguada. Piratas at the other side still keep top position with five games lost. Brujos is looking forward to face Capitanes (#6) in Arecibo in the next round. Piratas will play at home against Santeros (#3) and it may be a tough game between close rivals. Very important is a road loss of second ranked Santeros (10-6) against eighth ranked Vaqueros (5-8) on Friday night. Visiting Santeros were defeated by Vaqueros in Bayamon 93-77. It ended at the same time the three-game winning streak of Santeros. Worth to mention a great performance of American center Greg Smith (208-91, college: Fresno St.) who helped to win the game recording a double-double by scoring 17 points, 13 rebounds and 6 assists. Javier Mojica contributed with 27 points and 5 assists for the winners. American power forward Joseph Jones (206-86, college: Texas A&M) answered with 10 points and 9 rebounds for Santeros. Both coaches used bench players which allowed the starters a little rest for the next games. Vaqueros maintains eighth place with 5-8 record. Santeros at the other side keep the second position with six games lost. They share it with Guayama. Vaqueros will play against higher ranked Capitanes (#6) in Arecibo in the next round and it will be quite challenging to get another victory. Santeros will play on the road against Indios (#9) in Mayaguez and hope to get back on the winning track. Very important is a road loss of first ranked Piratas (10-5) against ninth ranked Indios (5-9) on Saturday night. Visiting Piratas were defeated by Indios in Mayaguez 90-75. It was a great evening for Brian Conklin who led his team to a victory scoring 15 points and 6 rebounds. At the losing side Michael Rosario responded with 23 points and 7 assists. Both coaches tested many bench players and allowed the starting five to rest. Indios maintains ninth place with 5-9 record. Loser Piratas still keep top position with five games lost. Indios will meet at home higher ranked Santeros (#3) in the next round and it will be quite challenging to get another victory. Piratas will play against Santeros and it may be a tough game between close rivals. An exciting game between Top Four teams was played in Juana Diaz. Second ranked Santeros faced 4th placed Leones. Guests from Coamo (10-6) defeated host Leones (7-5) 95-81. It was an exceptional evening for Stedmon Lemon who led the winners and scored 27 points and 6 rebounds (on 11-of-13 shooting from the field). Both coaches allowed to play bench players saving starting five for next games. The victory was the third consecutive win for Santeros. They maintain second place with 10-6 record having just one point less than leader Quebradillas, which they share with Guayama. Leones lost their third game in a row. They keep the fourth position with five games lost. Santeros' next round opponent will be bottom-ranked Indios (#9) in Mayaguez and are hoping to win another game. Leones will play at home against Indios (#9) and hope to win that game. And finally the game worth to mention about is the one where seventh ranked Atleticos (6-10) won against 4th placed Leones (7-5) in a home game by 6 points 99-93 on Friday evening. Eugene Phelps fired a double-double by scoring 22 points, 14 rebounds and 5 assists for the winners. Atleticos' coach David Rosario used a ten-player rotation and allowed the starting five to get some rest. The victory was the third consecutive win for Atleticos. They maintain seventh place with 6-10 record. Leones lost their third game in a row. They keep the fourth position with five games lost. Atleticos will face league's second-placed Brujos in Guayama in the next round and it will be quite challenging to get another victory. Leones will play at home against Indios and hope to win that game. Bayamon were defeated by Aguada in Coamo 83-77. Guayama beat Arecibo at home 80-76. Guayama won against Bayamon on the opponent's court 102-96. Arecibo unfortunately lost to San German in a home game 83-91. Fajardo managed to beat Mayaguez on the road 106-98. Arecibo was defeated by Fajardo on its own court 76-86. Arecibo was smashed by Guayama in a road game 88-68. The best stats of 7th round was 16 points and 9 rebounds by Miguel-Ali Berdiel of Guayama. There was no surprise in Coamo where 8th ranked Vaqueros (5-8) were defeated by second ranked Santeros (10-6) 83-77 on Sunday. However just six-point win is not that big difference and the fans of host team counted on more convincing victory. The hosts trailed by 3 points after three quarters before their 26-17 charge, which allowed them to win the game. Santeros looked well-organized offensively handing out 23 assists. The former international point guard Alexander Abreu (180-91, college: W.Georgia) fired 13 points and 8 assists for the winners. The former international forward Carlos Emory (196-91) chipped in 11 points and 6 rebounds. Naturalized Polish point guard Francis Jonathan Han (185-87, college: Fairfield) produced 19 points and 5 assists and forward Benito Santiago (198-89, college: Cumberlands) added 18 points and 7 rebounds (made all of his seven free throws) respectively for lost side. Both coaches allowed to play bench players saving starting five for next games. The victory was the third consecutive win for Santeros. They maintain second place with 10-6 record having just one point less than leader Quebradillas, which they share with Guayama. Vaqueros lost their third game in a row. They keep the eighth position with eight games lost. Santeros will face bottom-ranked Indios (#9) in Mayaguez in the next round and are hoping to win another game. Vaqueros will play at home against Capitanes and it may be a tough game between close rivals. No shocking result in a game in Guayama where third ranked Brujos (10-6) defeated 6th ranked Capitanes (7-10) 80-76 on Sunday. Capitanes were trailing by 1 point at halftime but managed to get 1-point lead after three quarters before a 20-15 charge of Brujos, which allowed them to win the game. Brujos outrebounded Capitanes 50-33 including a 23-9 advantage in offensive rebounds. American power forward David Laury (206-90, college: Iona) fired a double-double by scoring 16 points and 12 rebounds for the winners. American-Guamanian forward Tai Wesley (201-86, college: Utah St.) chipped in 20 points and 6 rebounds. American forward Victor Rudd (205-91, college: S.Florida) produced a double-double by scoring 11 points, 12 rebounds and 5 assists and the former international point guard Denis Clemente (183-86, college: Kansas St.) added 17 points and 4 assists respectively for lost side. The victory was the fifth consecutive win for Brujos. They moved-up to second place, which they share with Aguada. Capitanes lost their fourth game in a row. Defending champion keep the sixth position with ten games lost. Brujos will face again Capitanes (#6) in Arecibo in the next round. Capitanes will play on the road against Cariduros in Fajardo and it may be a tough game between close rivals. Very expected game in Bayamon where 8th ranked Vaqueros (5-8) were defeated by third ranked Brujos (10-6) 102-96 on Tuesday. Forward Jose-Glen Rodriguez (201-92) fired 18 points and 6 rebounds for the winners. Cuban guard Juan Pineiro (193-90) chipped in 21 points. American center Greg Smith (208-91, college: Fresno St.) produced a double-double by scoring 20 points and 10 rebounds and American-Dominican guard Gerardo Suero (196-89, college: Albany) added 22 points and 5 rebounds respectively for lost side. Five Brujos and four Vaqueros players scored in double figures. The victory was the fifth consecutive win for Brujos. They moved-up to second place, which they share with Aguada. Vaqueros lost their third game in a row. They keep the eighth position with eight games lost. Brujos will face Capitanes (#6) in Arecibo in the next round. Vaqueros will play at home against Capitanes and it may be a tough game between close rivals. We could consider it a predictable result in the game between close teams in Arecibo where seventh ranked Atleticos (6-10) beat 6th ranked Capitanes (7-10) 91-83 on Tuesday. The guests trailed by 2 points after first quarter, but they rallied back to get the 5-point lead at the halftime and eventually won the game 91-83. Atleticos looked well-organized offensively handing out 23 assists. American forward Eugene Phelps (198-90, college: LBSU) fired a double-double by scoring 26 points and 14 rebounds for the winners. The former international guard Isaac Sosa-Carrion (190-90, college: Canisius) chipped in 23 points, 8 assists and 4 steals. American forward Victor Rudd (205-91, college: S.Florida) produced 17 points, 9 rebounds and 5 assists and the former international point guard Denis Clemente (183-86, college: Kansas St.) added 12 points, 5 rebounds and 11 assists respectively for lost side. Four Capitanes players scored in double figures. Capitanes' coach let to play ten players, but that didn't help to avoid defeat in this game. The victory was the third consecutive win for Atleticos. They maintain seventh place with 6-10 record. Capitanes lost their fourth game in a row. Defending champion keep the sixth position with ten games lost. Atleticos will face league's second-placed Brujos in Guayama in the next round and it will be quite challenging to get another victory. Not a big story in a game in Mayaguez where 9th ranked Indios (5-9) were defeated by sixth ranked Cariduros (7-8) 106-98 on Tuesday. The guests trailed by 1 point at the halftime before their 36-17 charge in the third quarter, which allowed them to win the game. Cariduros dominated down low during the game scoring 78 of its points in the paint compared to Indios' 54. They looked well-organized offensively handing out 33 assists. American Robert Glenn (203-88, college: IUPUI) fired a double-double by scoring 26 points, 11 rebounds and 4 assists for the winners. Dominican point guard Juan Miguel Suero (198-93) chipped in a double-double by scoring 18 points, 7 rebounds and 14 assists. Cariduros' coach Felix Rivera used a ten-player rotation and allowed the starting five to get some rest. The former international guard Jezreel De-Jesus (185-91, agency: Interperformances) produced 35 points (!!! ), 5 assists and 4 steals and American power forward Tyrone Curnell (203-88, college: Valdosta St.) added 20 points, 7 rebounds and 4 assists respectively for lost side. Five Cariduros and four Indios players scored in double figures. Cariduros moved-up to fifth place. Loser Indios stay at the bottom position with nine games lost. Cariduros will face Capitanes (#6) in Arecibo in the next round. Indios will play at home against Santeros and hope to win that game. An exciting game between Top Four teams was played in Juana Diaz. Second ranked Santeros faced 4th placed Leones. Guests from Coamo (10-6) defeated host Leones (7-5) 95-81. The game was mostly controlled by Santeros. Leones was better in second period 24-14. But it was not enough to take a lead and get a victory that evening. Santeros players were unselfish on offense dishing 23 assists. It was an exceptional evening for American forward Stedmon Lemon (198-92, college: JCSU) who led the winners and scored 27 points and 6 rebounds (on 11-of-13 shooting from the field). His fellow American import power forward Joseph Jones (206-86, college: Texas A&M) accounted for 19 points and 9 rebounds for the winning side. The former international point guard Carlos Arroyo (188-79, college: FIU, agency: Interperformances) came up with 18 points and 8 assists and Dominican Victor Liz (193-86) added 12 points and 6 rebounds respectively for Leones in the defeat. Both teams had four players each who scored in double figures. Both coaches allowed to play bench players saving starting five for next games. The victory was the third consecutive win for Santeros. They maintain second place with 10-6 record having just one point less than leader Quebradillas, which they share with Guayama. Leones lost their third game in a row. They keep the fourth position with five games lost. Santeros' next round opponent will be bottom-ranked Indios (#9) in Mayaguez and are hoping to win another game. Leones will play at home against Indios (#9) and hope to win that game. There was a small surprise in Arecibo where sixth ranked Cariduros (7-8) won against their close opponent Capitanes (7-10) 86-76 on Thursday. The game without a history. Cariduros led from the first minutes and controlled entire game increasing their lead in each quarter. They dominated down low during the game scoring 60 of its points in the paint compared to Capitanes' 30. Capitanes were plagued by 25 personal fouls down the stretch. Dominican point guard Juan Miguel Suero (198-93) fired a double-double by scoring 23 points, 10 rebounds and 5 assists for the winners. American Robert Glenn (203-88, college: IUPUI) chipped in 25 points and 5 rebounds. American forward Victor Rudd (205-91, college: S.Florida) produced a double-double by scoring 19 points, 18 rebounds, 6 assists and 4 steals and forward Johwen Villegas (193-85, college: FIU) added 13 points respectively for lost side. Both teams had four players each who scored in double figures. Cariduros moved-up to fifth place. Capitanes lost their fourth game in a row. Defending champion keep the sixth position with ten games lost. Cariduros will face bottom-ranked Indios (#9) in Mayaguez in the next round. Capitanes will play at home against the league's second-placed Brujos and hope to win that game. Top ranked Piratas (10-5) recorded its fifth loss in Quebradillas on Thursday night. Hosts were defeated by third ranked Brujos (10-6) 90-77. It may be a crucial game in the contest for the top position in the league. The guests trailed by 6 points after first quarter, but they stormed back to get the 12-point lead at the halftime and eventually won the game 90-77. Brujos outrebounded Piratas 45-31 including 30 on the defensive glass. They looked well-organized offensively handing out 21 assists. American-Guamanian forward Tai Wesley (201-86, college: Utah St.) fired 19 points, 8 rebounds and 4 assists for the winners. Forward Jose-Glen Rodriguez (201-92) chipped in 16 points and 7 rebounds (perfect behind the arc making all five shots). American forward Brian Conklin (201-89, college: St.Louis) produced a double-double by scoring 17 points, 11 rebounds and 4 assists and the former international Michael Rosario (190-90, college: Florida) added 21 points respectively for lost side. Both teams had four players each who scored in double figures. Piratas' coach rotated twelve players in this game, but that didn't help. Brujos have an impressive series of five victories in a row. They moved-up to second place, which they share with Aguada. Piratas at the other side still keep top position with five games lost. Brujos is looking forward to face Capitanes (#6) in Arecibo in the next round. Piratas will play at home against Santeros (#3) and it may be a tough game between close rivals. Very important is a road loss of second ranked Santeros (10-6) against eighth ranked Vaqueros (5-8) on Friday night. Visiting Santeros were defeated by Vaqueros in Bayamon 93-77. It ended at the same time the three-game winning streak of Santeros. The game without a history. Vaqueros led from the first minutes and controlled entire game increasing their lead in each quarter. It was a great shooting night for Vaqueros especially from behind the arc, where they had solid 60.0 percentage. Their players were unselfish on offense dishing 23 assists. Worth to mention a great performance of American center Greg Smith (208-91, college: Fresno St.) who helped to win the game recording a double-double by scoring 17 points, 13 rebounds and 6 assists. The former international Javier Mojica (190-84, college: CCSU) contributed with 27 points and 5 assists for the winners. 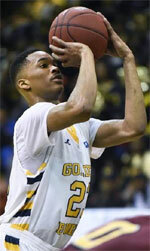 Four Vaqueros players scored in double figures. American power forward Joseph Jones (206-86, college: Texas A&M) answered with 10 points and 9 rebounds and the other American import forward Stedmon Lemon (198-92, college: JCSU) added 15 points in the effort for Santeros. Both coaches used bench players which allowed the starters a little rest for the next games. Vaqueros maintains eighth place with 5-8 record. Santeros at the other side keep the second position with six games lost. They share it with Guayama. Vaqueros will play against higher ranked Capitanes (#6) in Arecibo in the next round and it will be quite challenging to get another victory. Santeros will play on the road against Indios (#9) in Mayaguez and hope to get back on the winning track. And finally the game worth to mention about is the one where seventh ranked Atleticos (6-10) won against 4th placed Leones (7-5) in a home game by 6 points 99-93 on Friday evening. The hosts trailed by 5 points after three quarters before their 28-17 charge, which allowed them to win the game. American forward Eugene Phelps (198-90, college: LBSU) fired a double-double by scoring 22 points, 14 rebounds and 5 assists for the winners. The former international guard Isaac Sosa-Carrion (190-90, college: Canisius) chipped in 27 points. Atleticos' coach David Rosario used a ten-player rotation and allowed the starting five to get some rest. Dominican Victor Liz (193-86) produced 24 points and 6 rebounds and the former international point guard Carlos Arroyo (188-79, college: FIU, agency: Interperformances) added 14 points and 11 assists respectively for lost side. Four Atleticos and five Leones players scored in double figures. The victory was the third consecutive win for Atleticos. They maintain seventh place with 6-10 record. Leones lost their third game in a row. They keep the fourth position with five games lost. Atleticos will face league's second-placed Brujos in Guayama in the next round and it will be quite challenging to get another victory. Leones will play at home against Indios and hope to win that game. Very important is a road loss of first ranked Piratas (10-5) against ninth ranked Indios (5-9) on Saturday night. Visiting Piratas were defeated by Indios in Mayaguez 90-75. The hosts trailed by 7 points at the halftime before their 54-32 charge in the second half, which allowed them to win the game. Indios dominated down low during the game scoring 56 of its points in the paint compared to Piratas' 36 and made 19-of-23 free shots (82.6 percent) during the game. They outrebounded Piratas 40-26 including a 28-17 advantage in defensive rebounds. It was a great evening for American forward Brian Conklin (201-89, college: St.Louis) who led his team to a victory scoring 15 points and 6 rebounds. 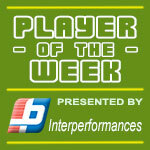 Guard Carlos Arroyo (188-95, college: Chowan) helped adding 8 points, 6 rebounds and 8 assists. Four Indios players scored in double figures. At the losing side the former international Michael Rosario (190-90, college: Florida) responded with 23 points and 7 assists and international forward Luis Hernandez (198-88) scored 11 points and 6 rebounds. Both coaches tested many bench players and allowed the starting five to rest. Indios maintains ninth place with 5-9 record. Loser Piratas still keep top position with five games lost. Indios will meet at home higher ranked Santeros (#3) in the next round and it will be quite challenging to get another victory. Piratas will play against Santeros and it may be a tough game between close rivals. There was no surprise in Guayama where 6th ranked Capitanes (7-10) were crushed by third ranked Brujos (10-6) 88-68 on Saturday. The game was mostly controlled by Brujos. Capitanes was better in third quarter 24-23. But it was not enough to take a lead and get a victory that evening. They outrebounded Capitanes 42-31 including a 35-24 advantage in defensive rebounds. Great defensive blocking was one of the keys in this match when Brujos made 7 blocks. American-Guamanian forward Tai Wesley (201-86, college: Utah St.) fired 22 points and 6 rebounds for the winners. The former international guard Miguel-Ali Berdiel (198-83, college: Valpo) chipped in 16 points and 9 rebounds. Four Brujos players scored in double figures. American forward Victor Rudd (205-91, college: S.Florida) produced 12 points and 5 rebounds and international forward Angel Matias (193-92, college: Georgia South) added 11 points and 5 rebounds respectively for lost side. Both coaches allowed to play bench players saving starting five for next games. The victory was the fifth consecutive win for Brujos. They moved-up to second place, which they share with Aguada. Capitanes lost their fourth game in a row. Defending champion keep the sixth position with ten games lost. Brujos will face again Capitanes (#6) in Arecibo in the next round. Capitanes will play on the road against Cariduros in Fajardo and it may be a tough game between close rivals. #1. This week's number one is an experienced international point guard Carlos Rivera (187-83, college: Hofstra, currently plays in Mexico). He led Fuerza Regia to a victory over the leader Capitanes (26-13) 88-79 in the Mexican LNBP (second division) in Tuesday night's game. Rivera was MVP of the game. He recorded 27 points (!!! ), 4 rebounds and 5 assists in 33 minutes on the court. It was the game of the round between two top 3 ranked teams in group North. Fuerza Regia Monterrey (31-9) is placed first. Rivera has relatively good stats this year: 13.1ppg, 2.9rpg, 5.2apg, 2FGP: 56.1%(106-189), 3FGP: 45.5%(101-222) and FT: 89.0% in 50 games he played so far. Ex-Atleticos de San German player is currently a member of the Puerto Rican senior national team. #2. Second place goes to an international swingman David Huertas (195-87, college: Ole Miss, currently plays in Mexico) is a teammate of previously mentioned Carlos Rivera. But that was another game of his team in Mexican LNBP which we would like to mention. Huertas. 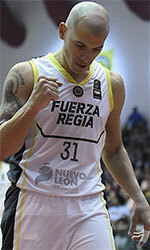 He could not help Fuerza Regia (31-9) in their last game on Friday. Despite Huertas' very good performance the first-placed Fuerza Regia (31-9) was edged 94-93 at home by the leading Capitanes in the North group. He was the top scorer with 25 points. Huertas also added 5 passes. Huertas has individually a very good season with high stats. He averages: 18.5ppg, 3.2rpg, 3.4apg, 1.1spg, 2FGP: 52.5%, 3FGP: 40.8% and FT: 81.9%. Huertas is in the roster of the Puerto Rican senior national team. #3. The Puerto Rican player who performed third best last week abroad was former international swingman Maurice Harkless (203-93, college: St.John's, currently plays in NBA). He was the main contributor in a 3-point Portland Trail Blazers' victory against the Los Angeles Lakers (37-45) 104-101 in the NBA on Tuesday night. Harkless was the best player in that game. He scored 26 points (!!! ), grabbed 8 rebounds and made 4 blocks in 34 minutes. The Portland Trail Blazers have a solid 53-29 record this season. It was his team's third consecutive victory in a row. There are only four games left until the end of the NBA Regular Season. So now every game will be critical. It's Harkless' fourth year with the team. This season Harkless has relatively solid stats: 7.7ppg, 4.5rpg, 1.2apg, 1.1spg, 2FGP: 58.2%(156-268), 3FGP: 27.5% and FT: 67.1% in 60 games. He has a dual citizenship: Puerto Rican and American. Harkless played for the Puerto Rican national team three years ago. Strangely he has never played in Puerto Rico. #4. Point guard Shabazz Napier (185-91, college: Connecticut, currently plays in NBA) was the major contributor in a Brooklyn Nets' victory against the Miami Heat (39-43) 113-94 in the NBA in Wednesday night's game. Napier scored 20 points, had 5 rebounds and dished 5 assists. The Brooklyn Nets have 42-40 record this season. It was his team's third consecutive victory in a row. There are only four games left until the end of the NBA Regular Season. So now every game is very crucial. It's Napier's first year with the team. He has reliable stats this season: 9.4ppg, 1.8rpg and 2.6apg. Napier is another player who holds two passports: Puerto Rican and American. He used to play for the Puerto Rican national team back in 2016. Apparently Napier has never played in Puerto Rico. #5. International guard Gary Browne (185-93, college: WVU, currently plays in Israel) contributed to a 1-point Ironi Nes-Ziona's victory against the closely-ranked Rishon (11-15) 85-84 in the Israeli Winner League last Wednesday. He scored 14 points, grabbed 7 rebounds and dished 9 assists in 34 minutes. Ironi Hai Motors Nes-Ziona (12-14) is placed seventh in the Winner League. It was his team's third consecutive victory in a row. Browne's stats this year are: 14.8ppg, 5.4rpg, 4.8apg and 1.1spg in 25 games. He has both American and Puerto Rican nationalities. Browne plays currently for the Puerto Rican national team. He used to play for Coamo in Puerto Rican league. #6. Power forward Ramon Clemente (200-85, college: Wichita St., currently plays in Argentina) was not able to help San Lorenzo in their game against Ferro (18-12) in the Argentinian La Liga. He scored only 4 points. The league leader San Lorenzo was crushed 106-69 on the road by the lower-ranked Ferro (#5). Clemente's overall stats this season are: 4.0ppg and 3.2rpg. He also holds two passports: Puerto Rican and American. Clemente is an international player who is currently on the senior Puerto Rican National Team roster. He used to play for Indios de Mayaguez in Puerto Rican league. #7. Former international point guard Wilfredo Pagan (184-76, currently plays in Mexico) is a teammate of previously mentioned Carlos Rivera. However that was another game of his team in Mexican LNBP which brought him to that list. Pagan managed to help Fuerza Regia Monterrey in a victory against the leader Capitanes (26-13) 97-78. He scored only 3 points in 12 minutes. It was the game of the round between two top 3 ranked teams in group North. Fuerza Regia Monterrey (31-9) is placed first. This year Pagan's overall stats are: 4.2ppg, 1.4rpg and 1.7apg in 55 games. He holds both American and Puerto Rican passports. Pagan used to play for the Puerto Rican national team seventeen years ago. He played also for Brujos de Guayama in Puerto Rican league. #8. Forward Christopher Ortiz (203-93, agency: Inception Sports, college: Kent St., currently plays in Finland) was not able to secure a victory for Helsinki Seagulls (18-20) in their game against KTP-Basket (22-16) in the Finnish Korisliiga. Ortiz scored 9 points and grabbed 11 rebounds. But Helsinki Seagulls was defeated 88-73 in Kotka by the higher-ranked KTP-Basket (#4). His team will play only one more game in the Regular Season. And now that game is quite important. It's Ortiz's first season with the team. This year Ortiz has very high stats. He averages: 15.6ppg, 6.3rpg and 1.6apg. Ortiz holds both American and Puerto Rican passports. He used to play for the Puerto Rican national team back in 2017. Ortiz played also for Santurce in Puerto Rican league. #1. Experienced Walter Hodge (183-PG-86, college: Florida, currently plays in Lebanon) led Homentmen to a victory over the sixth-ranked Hoops Club (6-10) crushing them 87-62 in a derby game in the Lebanese LBL on Sunday night. Hodge was the top player that evening. He scored 15 points and added 6 assists. Homentmen Beirut (12-4) is placed second in the LBL. Hodge has individually a very good season with high stats. He averages: 21.6ppg, 3.7rpg, 6.9apg and 1.4spg. Hodge has a dual citizenship: U.S. Virgin Islands and Puerto Rican. #2. Emanuel Ubilla (188-PG-86, agency: Court Side, college: Fair Dickinson, currently plays in Hungary) could not help Kaposvari (12-15) in their last game. Despite his very good performance Kaposvari (#2) was edged 104-102 at home by the leading KTE-Duna in the Places 11-14 group. Ubilla was the top scorer with 27 points. He also added 9 passes in 43 minutes. It's Ubilla's first season with the team. Ubilla averaged so far 14.4ppg, 4.6rpg, 5.3apg and 1.3spg in 18 games he played so far. He is another player who holds two passports: Puerto Rican and American. Ubilla used to play for Atleticos de San German in Puerto Rican league. #3. TreVon Hughes (185-PG-87, college: Wisconsin, currently plays in ASEAN League) was not able to help Saigon Heat (14-12) in their last game. Despite his very good performance Saigon Heat lost 56-68 on the road to the lower-ranked (#7) CLS Knights. Hughes was the second best scorer with 22 points. He also added 4 rebounds in 39 minutes. Hughes has very impressive stats this year: 20.3ppg, 6.4rpg, 5.4apg and 3.0spg in 24 games. He has both American and Puerto Rican nationalities. Interesting that Hughes has never played in Puerto Rico.